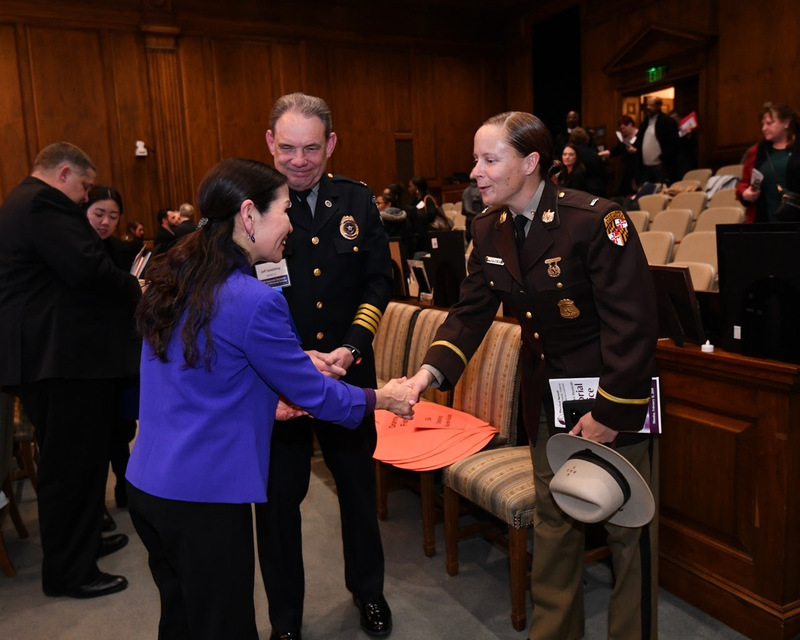 ANNAPOLIS, MD – First Lady Yumi Hogan delivered remarks at the Maryland Network Against Domestic Violence’s (MNADV) 2019 Domestic Violence Homicide Memorial Service in Annapolis, Md. on February 11. The First Lady was joined by Senator Chris Van Hollen and numerous state elected officials. 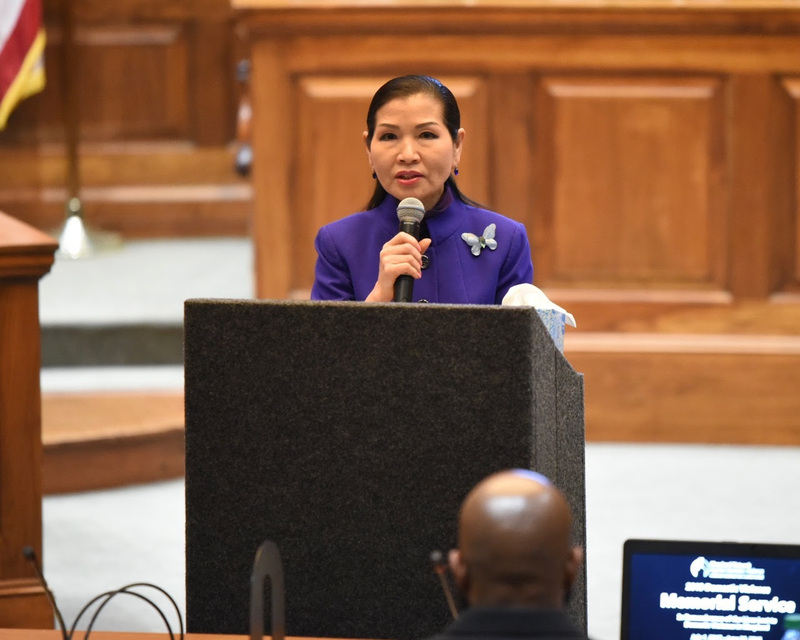 The memorial service heightens awareness of domestic violence and the terrible toll that domestic violence takes each year on families in Maryland and focuses on positive actions that can prevent future tragedies. Forty-six people died in Maryland between July 1, 2017 and June 30, 2018 as a result of intimate partner violence, and in the past year alone, there were over 22,000 reported domestic violence-related crimes in Maryland. The annual memorial service remembers the women, men, and children who have died as a result of domestic violence during the past year, celebrates the survivors, and focuses attention on changing laws to reduce domestic violence, improve victim safety, and provide greater accountability for abusive partners. The Hogan administration is committed to supporting victims of crimes, recently announcing nearly $50 million in funding for services and resources administered through the Governor’s Office on Crime Control and Prevention. Receiving the Medallion Award for her advocacy and dedication to working on behalf of victims of domestic violence and human trafficking, the First Lady has been involved in many integral state initiatives, including the Address Confidentiality Program which helps protect victims and restore their independence by shielding their personal information from their abuser. The MNADV is the state domestic violence coalition that brings together victim service providers, allied professionals, and concerned individuals for the common purpose of reducing intimate partner and family violence and its harmful effects on our citizens through education, training, resources, and advocacy to advance victim safety and abuser accountability. For more information or to find help near you, visit https://mnadv.org/.